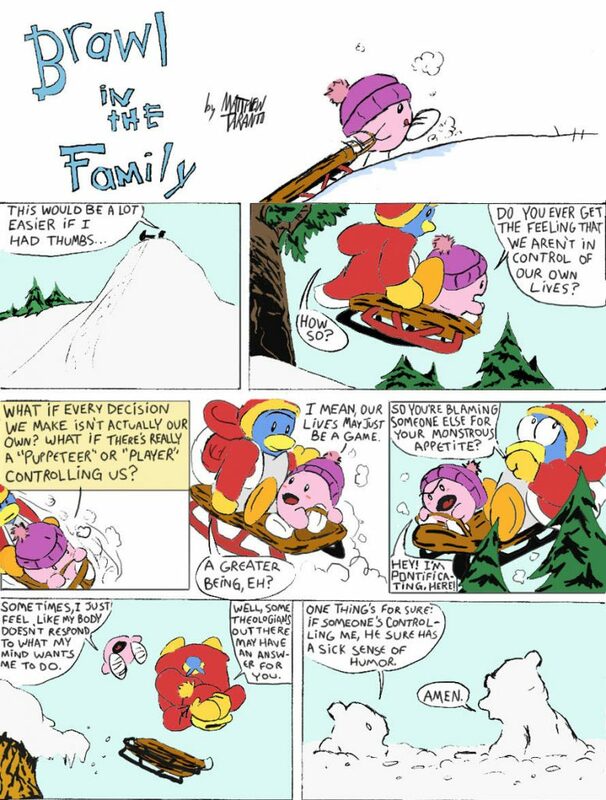 In today’s strip, Kirby DOESN’T eat something. This is one of the more out-there comics. Three game references in one strip? I believe my nerdiness has reached new heights!